Today our international PR series* is visiting Germany where PR consultant Wibke Sonderkamp is providing insight into current trends and developments in the German media landscape and PR practices before telling us about cultural gaps and clients who had to be re-animated with some excellent German beer after their first encounter with the shockingly outspoken German press in part 2 of the interview. * The series is based on phone or face-to-face interviews and written input, therefore please excuse language mistakes which might reflect foreign language influences. 1. What is the latest trend (change) in PR you have identified in your region? Wibke Sonderkamp: There are so many changes in PR these days it’s hard to say which one is the latest or most important one. One factor influencing our daily life in PR are the changing media landscapes which differ from industry to industry. IT magazines e.g. are going more and more online with print titles dying every month, which of course influences the way we work with them. Smaller editorial teams have to produce a lot of up-to-date content for their online magazine. Therefore we have to make sure they get material they can use without to many changes and the reaction time (of agencies and the clients) is very quick. On the other hand, there are new interesting markets and media landscapes evolving at the moment including the CleanTech or “green” industry which is one of our focus markets. And of course there are new communication channels and options evolving very quickly –going from early adopter interest to main stream. Whereas we as “communication geeks” have been blogging and using social media for ages, this has become more common recently for most companies in the tech oriented markets we deal with. And there is still a lot of confusion and lack of knowledge on how to deal with the social web and to utilize it successfully for corporate communications and PR. 2. How does your agency handle / embrace this? Wibke Sonderkamp: We try to adapt to the need of each media group and to provide them with the kind of information that makes their lives easier. For example with the online movement of magazines and the shrinking editorial teams we adapt the style of press information to the online formats, so they can turn our information into online articles without many extra steps. This includes additional material we provide as downloads accompanying press releases or in digital press rooms. The easily accessable and up-to-date press material also helps editors who have to report on events and trade fair but can not attend them due to staff shortage or shrinking travel budgets. In our digital press rooms we provide them with daily quotes, comments, news and photos from events they can use for lively reports on events they haven’t been able to visit. For the Social Media movement we now profit from our background as early adopters of all these channels. This way we are able to consult our on how they can utilize Social Media in an efficient way in their specific market and for their specific target audience. Especially in the B2B market consultancy is essential at the moment as every company seems to think they need to do “something social media”, and you can see a lot of companies investing money and time into initiatives completely missing their target groups. Recent surveys say German (and European) companies are disappointed by the results of Social Media initiatives which shows there is still a high demand on consultancy is this area. 3. Can you give a recent example from a project? Wibke Sonderkamp: Regarding Social Media initiatives the B2C market is far more advanced than the B2B market in regards to Social Media utilization. We recently supported a product campaignfor electronic giant SANYO for a new sound recorder with a social media campaign targeting music students. We initiated a competition between German and UK music schools/universities in which the students recorded their songs with the recorder and uploaded them to a competition website. They could then use Social media channels to promote their song and to drive viewers/listeners to the competition website to vote. This way the campaign was supported by Social Media utilization of the client – who offered a Facebook site, competition blogs, twitter updates, etc. – as well as by a viral campaign through the students. Our involvement in markets such as the CleanTech industry is far more than PR for clients. With our CleanEnergy Project we provide companies in this market with a platform they can use to network, get reliable information and learn about interesting events. The media and industry organizations embraced this information and expert source and work together with us for content exchange and events. 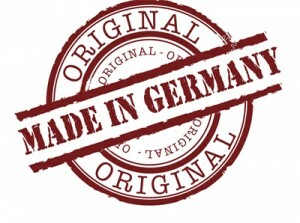 With more than 30.000 members (in Dec. 2010) the CleanEnergy Project is the larges German speaking community in the market. If you now think – “this sounds like a really good idea, why don’t more agencies do it?” – don’t forget the work and investment necessary to buildi a community like this with an online magazine, weekly newsletters and frequent events. You have to be really committed to a market to make this decision. 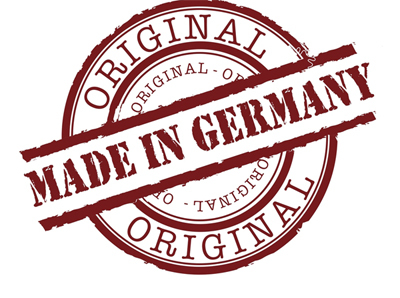 Read more about PR and cultural differences in Germany where journalists love facts and figures, are known to be brutally honest and PR consultants insist on writing press releases with a minimum of marketing language. Wibke Sonderkamp is Director PR Operations at GlobalCom PR-Network Germany and head of GlobalCom’s international IT & Technology competence team. She has been working in Tech PR for ten years and has a background in journalism and communication. Founded in 1990 the Munich based GlobalCom PR Network GmbH has been supporting Companies PR and Communication in Germany, Austria and Switzerland for more than 20 years. Through the international agency network GlobalCom also supports international accounts and campaigns. The agency is focused on IT and technology topics including the cleantech market. GlobalCom’s CleanEnergy Project is the largest German language Community in the market for cleantech, new energies, renewables, sustainability, etc. with more than 30.000 members.